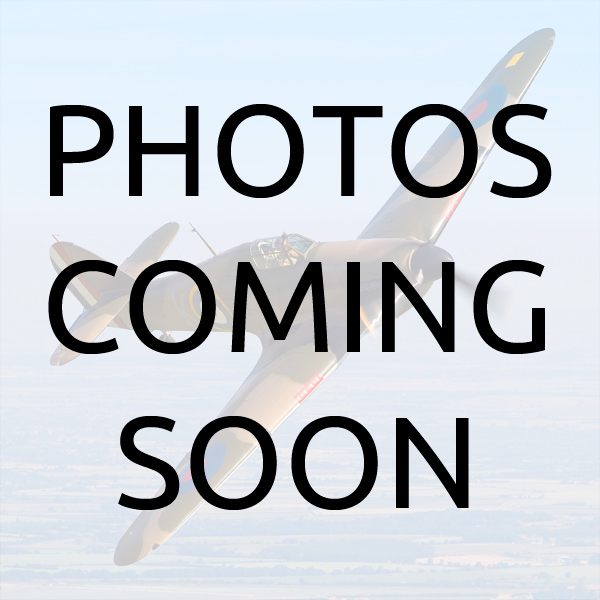 V7497 is a Hurricane Mk 1, manufactured in August 1940 by Hawker Aircraft Ltd at Kingston. Flown operationally at the very height of the Battle of Britain from the famous fighter station, Kenley, in East London, the aircraft was lost during an operational patrol on 28th September over Sutton in Kent. 2nd July, 1940 and were completed on the 5th February, 1941. The average rate of production about two aircraft per day. 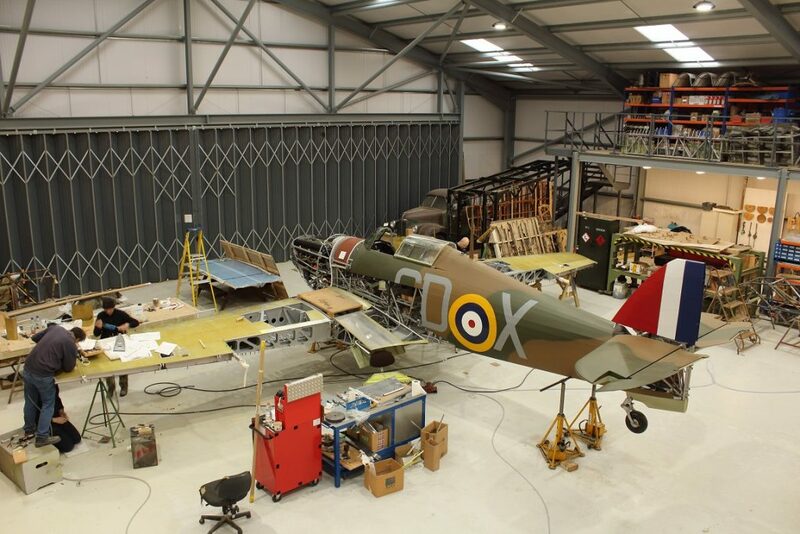 Given the manufacturer’s construction number 41H-136172 the aircraft was allocated RAF serial number V7497 on completion and initially delivered to 20M.U (20 Maintenance Unit) which was based at RAF Aston Down in Gloucestershire. Following the installation of service equipment V7497 was issued to 501 (County of Gloucester) Squadron at Kenley, on 19th September 1940, primarily to make up losses which had been inflicted on the squadron throughout the summer. Used operationally for the first time by Sgt. Sayward on the afternoon of 24th September, its service career was short lived and it was shot down by Bf 109’s over Kent on 28th September after only six further operational sorties. The airframe came to earth in Sutton and the pilot, P/O E B Rogers survived the incident by taking to his parachute. P/O (later Sdn/Ldr) Everett Bryan Rogers, R.A.F.V.R. (no. 81373)P/O Everett B. Rogers had a long and distinguished RAF career during WWII and we believe he survived the war. Mentioned in Despatches in March 1945, (London Gazette entry 27th March 1945) he had shown outstanding commitment to duty when pressing home an attack in a damaged aircraft against a target in Chemnitz with 640 Squadron. At the time this unit employed HandleyPage Halifax heavy bombers. During his time with 501 Squadron in 1940 he flew V7497 more than any other pilot. Having been posted from 615 Squadron in early September, he distinguished himself on 15th September by destroying a Do.17 medium bomber on the day which has been remembered as the height of the Battle of Britain (see official combat report). This remained Rogers only victory as a fighter pilot and he stayed with 501 until October 1940. The squadron was originally formed as a day-bomber unit named 501 (City of Bristol) Squadron part of the Special Reserve squadrons, on 14 June 1929, made up of volunteers and regulars, flying D.H.9a’s. These were later replaced by Westland Wapitis and later still by Westland Wallaces. In 1936 the unit became ‘501 (County of Gloucester) Squadron’ to reflect an increase in recruitment catchment area. On 1st May it was transferred to the Auxiliary Air Force and by July of that year was equipped with Hawker Harts. In March 1938 the Harts were exchanged for Hind light bombers but a significant change took place in late 1938 when 501 was transferred to Fighter Command. Gradually re-equipping from March 1939, the bi-plane Hinds gave way to the new monoplane eight-gun fighter, the Hawker Hurricane. At the start of WWII in September 1939, 501 were based at RAF Filton in Bristol but on 10th May 1940 were assigned to the Advanced Air Striking Force and operated out of various airfields in France following the German invasion. With the capitulation of France, the by now experienced and battle hardened 501 returned to England, via Jersey and were initially based for a short time at RAF Croydon. Re-locating to Gravesend and finally, in September 1940, to Kenley, South London. 501 Squadron ended the Battle of Britain with 149 confirmed enemy aircraft destroyed. Notable members of the squadron included Sgt. James H ‘Ginger’ Lacey (ended the war with 28 confirmed victories), P/O K W Mackenzie and P/O K N T ‘Hawkeye’ Lee. 25th – P/O E B Rogers 08.55 – 09.50 Active Ops, patrol. 26th – P/O E B Rogers 16.30 – 17.15 Active Ops, patrol. 27th – P/O E B Rogers 09.05 – 10.10 Active Ops, patrol. 27th – P/O E B Rogers 11.20 – 12.25 Active Ops, patrol. 27th – P/O Harold 15.10 – 15.55 Active Ops, patrol.